Boxing is 'dangerous', 'inhuman' and 'cruel' — say those who never had a single boxing class in their life. Boxing is probably the physically most demanding sport out there. Yes, I’ll go on record for saying that boxing is in fact more demanding than American Football, Rugby or even Wrestling. Probably more demanding than several of these combined. Why is that? What is so special about training in one of the oldest and most popular sports in the world? Most sports focus on a specific, i.e. limited set of movements that includes one part of the body while it more or excludes another. Take football, for example. In football the main focus is on your legs as you run up and down the field with the occasional sprint and a more or less forceful kick to the ball thrown in. If your arms wouldn’t help you keep balance while you are running then you could basically take them off for the game. In fact, having the ball just touch your arm can result in your disqualification from the game. It is a similar situation with American Football and Rugby. Here, all running mainly consists of relatively short sprints. Have you ever seen players running back and forth from one end of the field to the other and then back again, engaging in counter attack after counter attack? I know I haven’t. In Football, however, such a scenario is far from being an exception. In American Football and Rugby, though, it is just not part of the game as there will be interruption after interruption. American Football and Rugby thus are calling for a good deal of springiness in the athlete while having the lungs of a middle-distance runner as you would need it for football comes in second, if not third. Boxing, however, will demand it all from you. You will need power as well as stamina in both your arms, legs and lungs: in your arms as you are to hold up your defense and deliver punches. In your legs as you are permanently moving forth, back and sideways. That is also the reason why boxers do rope-jumping for cardio training when they could just go running on a threadmill: the thousands of low-intensity jumps have a tremendous training effect on your calves, stamina and moving coordination. Boxing will strain every single one of your muscles, literally ranging from your toes over your calves and all the way up to the back of your neck (having a well-built neck musculature takes out a lot of the energy of a hit taken to the head). The one body part that will hurt the most after your first rond of sparring? Your thighs. Unless your coach particularly demand you do so in training with the sandbag you will hardly be used to doing enough knee dips that are so vital for sparring. The undoubted reward of taking boxing classes and training regularly is that you will improve all your bodily skills like coordination, strength, stringiness, reflexes and endurance to perfection.I take it you are aware of the impressive physique of professional boxers. Mind you that 90% of these looks do no stem from proteine shakes, creatine or a weightlifting app, but from die-hard and regular training with gloves and a jump rope alone. Never again in my life have I been as well-trained as when I was going to the boxing gym Monday, Wedndesday and Friday. 90 minutes of training will burn about 2000 calories and have you lose a whole liter in water, meaning if you have weight problems, then boxing will definitely take care of that. “This is where the boxer’s self-confidence stems from. A boxer knows: ‘if I give this guy a lush now – the fool will go down without even knowing that happened”, my first coach once said. Not much to add here: Once that quote has turned from an excuse to certainty, because you know you could end the matter fast and effectively, you will automatically lose interest in the altercation. Check out the homepage of the national boxing association of your country and locate a boxing gym in your city. 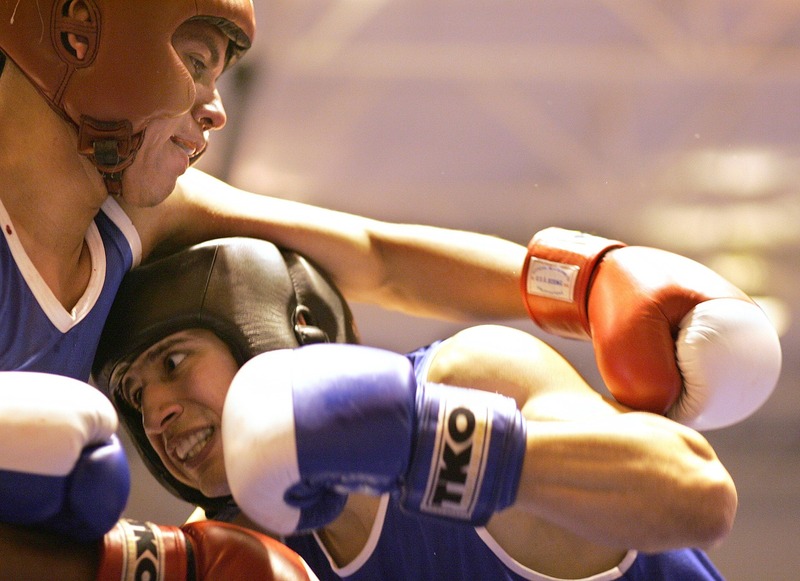 As Boxing is, after all, an Olympic event with a high symbolic value – think about the wars-in-substitute that take place when an American boxer is facing a Cuban opponent in the Olympics – the amateur boxing associations in practically every country are very well-organized. Screen the national website for the regional offices and give them a call. 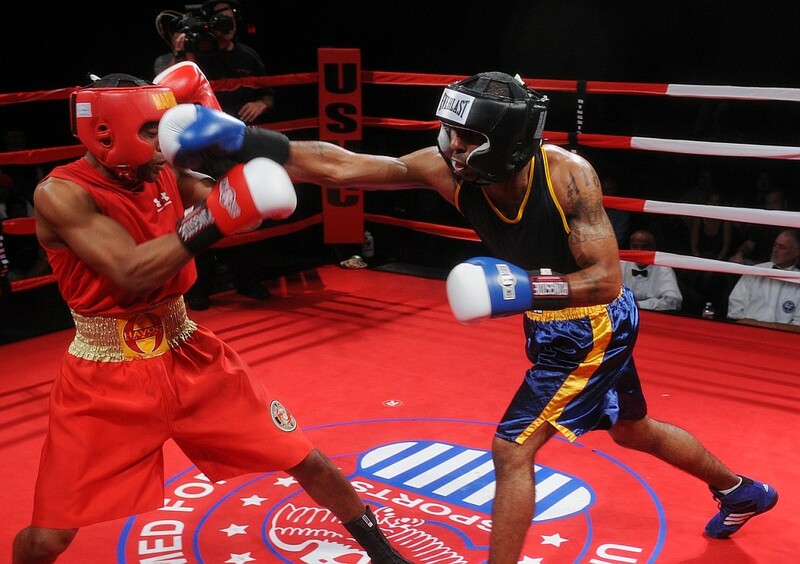 Ask for a list of all boxing clubs/gyms that are registered with the National association. If you are lucky then the national homepage is so well put together that you can search on it for the city of your choice right away. Here is the amateur association of France and the one of Germany. Google helps you with the others. Offering boxing classes has become a massive source of income for regular gyms and fitness centers. What you have to keep in mind here that these people have no genuine interest in boying whatsoever. What they do is broaden their ‘portfolio’ by responding to the grown demand in unconventional forms of exercise. This is also the reason why nearly every one of them will offer something going by the silly name of ‘boxercising’. This silly looking term stands for regular fitness training that is drawing from exercises used in boxing, together with sandbag training. There will be no sparring, of course. Generally speaking a boxing gym offering anything else besides boxing classes is a bad sign. If larger gyms do that you can be sure that the coach will not be that one 55 year old ex-pro turned coach that you are looking for, and if a smaller gym does that you can be sure the coach is more about drawing in more money than trying to develop some of the propects that come to the regular boxing training, i.e. you. This one is in straight connection to going to a boxing-only gym. There are tons of gyms out there that will offer classes in martial arts exclusively and that will not try to take a ride on the boxercising/fitness fame train. However, what you will often come across are gyms offering classes on Kickboxing, Mixed Martial Arts (MMA), Freefight, Brazilian Jiu-Jiutsu or whatever may have you alongside with regular boxing classes. While this can be a good sign if you actually wanted to train mixed martial arts it is a bad sign if you wanted to train boxing. Boxing is a fairly complex discipline that requires year-long training under professional guidance in order for you to make real progess as an amateur. How do you expect that to happen when you are taught by someone who is confident enough to offer training in virtually any martial art under the sun? The people to ‘teach it all’ in real life often are bouncers that did not make it in boxing or that found boxing to be less effective when working the door. Thus they turned to other fields in martial arts, a fact that will show in their makeshift approach to teaching boxing and training others. Often these people are shunned by the the local chapters of the official amateur associations for some shifty behaviour they pulled off in the past. This could be tweaking ages and weight of newcomer boxers in order to have them make their first fight early or they have refused to hand back the offical papers to their athlethes after they told tehm they were planning to leave their gym (you will need your official papers to make an amateur fight). If you are unsure if the gym you picked could be of this kind then do not worry. You will learn about fast that from the other guys coming to train there as they will fill you in about the current rumors and on the coach/gym owner. A “fancy” aura is something you will almost exclusively experience with gyms that are part of a regular fitness center. 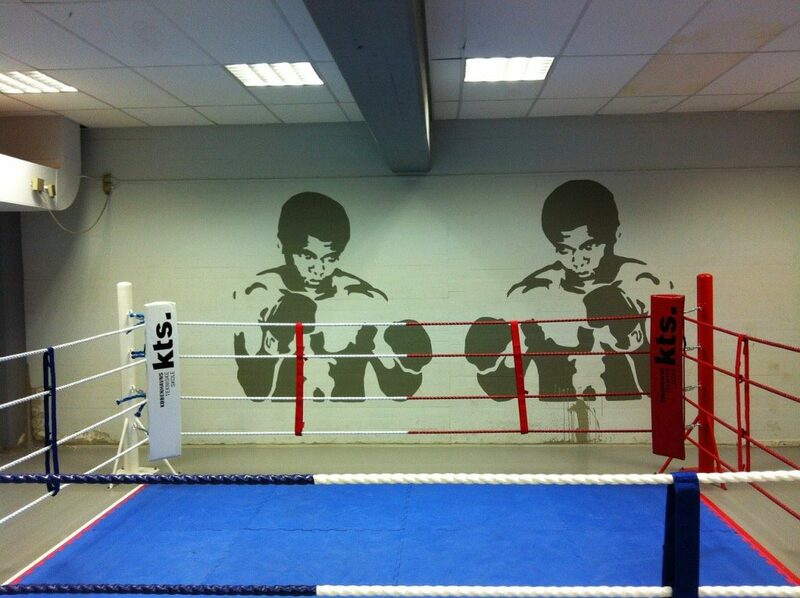 With all new gloves, ropes and the latest sangbags these “gyms” will give off an all too clean impression. Mind you that the opposite – a used up basement gym where the one or other sandbag had to be fixed with duct-tape – does not necessarily stand for quality instead. This being said, more often that not this is just the case: good gym owners have no interest in creating a “customer-friendly” atmosphere, they have an interest in creating a boxing-friendly atmosphere. Whenever you set foot in a place for a test training and you get the feeling that this place is all too clean then you are probably right. Another thing trustable gym owners only have a secondary interest in is making money off you. Naturally, they have expenses they have to cover through selling membership, but, again, their real interest would be in boxing, not in running a business. Therefore, being a “offered” a contract right after your first training sesion should make you avoid that place. The same goes for any kind of fee for a test training. 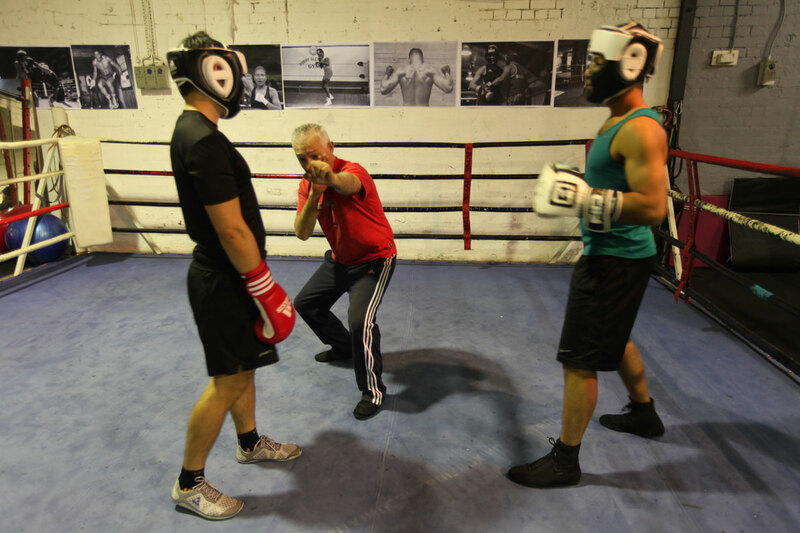 One might be tempted to think that in order to learn how to box the right way you would need a young and able-bodied coach who in the best scenario is an experienced amateur going-on-pro himself. Wrong! The best coaches out there are bordering on grey hair and have their prime well past them. In order to learn how to box these are the ones to look out for. If a man in his late fifties still has an interest in teaching the sport to others then you are guaranteed that’s where his heart is at. In sum, he is not there to make money out of you. And for sparring: in any case are you supposed to spar with the other guys from the gym. Because in your first amateur fight you will face someone of their physique – and not a man the age of your coache. And as far as targeting and scenario training goes: there really is no age limit for that. As you can tell by the first tip to find a good boxing gym it’s the people that make for a great gym. While highly experienced coaches are one thing the ‘outcome’ of their advice and supervision is another. Namely the fact how many of their students are making significant progress as amateur boxers. Are There Pros In The Making Training At The Gym? Have a look at the other men training at the gym. Are there more advanced guys tranining there who have done the one or other fight already? What experiences did they make in that? Did they win or lose? Often there are more advanced amateurs taking over the role of instructors if the main trainer can’t make it to training. Keeping an open ear to what they have to say is crucial, because it tells a lot about the overall atmosphere in the gym. If there are advanced people training there who have a somewhat balanced history in the fights they did then this is a definite good sign. But if losses outweigh the wins by a large margin then this can mean the coach does not care too much about who is fighting who. Or it could mean he is up for bad pairing only so he can get hs hands on their starting commission (amateurs make about 30€ to 80€ for their first fight). If you start to train boxing for the very first time in your life then the first three months will consist of nothing else but to bring your levels in stamina and endurance up to the others. Chances are high that the intensity of your first training will seem so severe to you that you will hardly make it through your first 90 minutes of boxing training. I personally remember from my first boxing gym that from time to time there would be one of the tougher looking guys show up for training, looking to learn “how to fight”. With a bulked body and teardrop-tattoos many of these guys actually did look hard – in training most of them threw up after the first hour and not one of them stuck around for a second training session. Why am I telling you this? Because it is like I said: boxing training is of such a high intensity that, again, you will be spending your first month struggling to make it through those 90 mnutes. With this in mind, a good boxing gym will take it slow with new athletes. Even entering the ring is not up for you in the first weeks or so (most likely you are ot really keen on it just yet, either). A really bad sign would be to have you enter the ring and spar with the others, “to see how much potential you have” or whatever they might say. What are you supposed to learn from that if you don’t even know how to stand right in boxing? Professional gyms take it slow with those new to the sport.